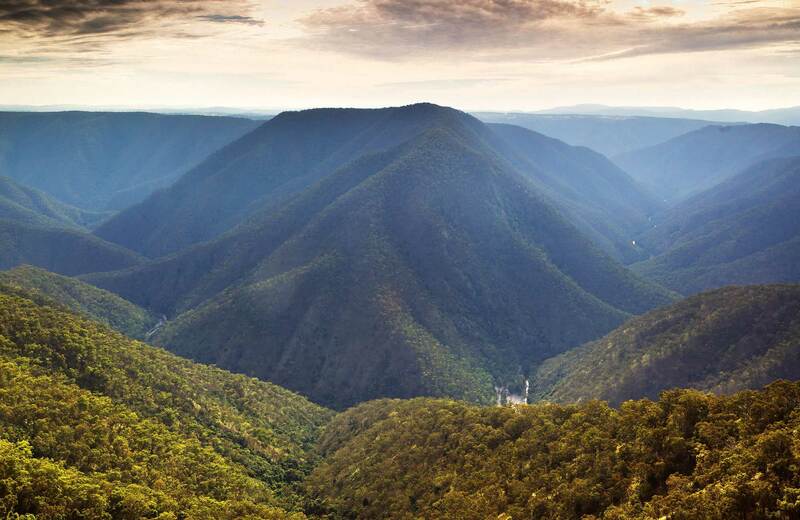 The picturesque Apsley Falls picnic area offers barbecue facilities with scenic views of gorges and waterfalls and nearby sites of Aboriginal significance. Apsley Falls picnic area is perched on the edge of the Great Escarpment, with impressive views of upper Apsley Gorge. It’s just off the Oxley Highway, making it an ideal pit stop on a road trip. As you pile out of the car, breathe in that clean mountain air and inhale the scent of the eucalypts. Apsley Gorge is spectacular after heavy rains as water cascades over the steep cliffs filling the air with mist. The gorge country is the traditional lands of the Dunghutti people and their history is as dramatic as the rugged landscape around you. Picnic under the snow gums and stringybarks, then if you’re feeling like a walk, there’s Apsley Gorge Rim walking track or the Oxley walking track to chose from. If you want to explore more, you can always stay overnight at the Apsley Falls campground.